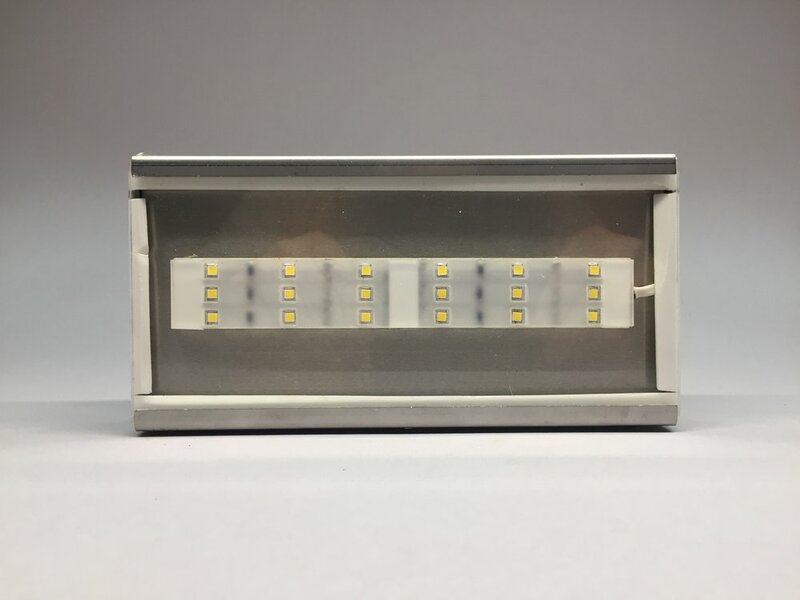 A compact, positionable, outdoor rated LED floodlight | Holly Solar Products, LLC. Billboard - a stainless steel outdoor LED fixture for signage lighting. 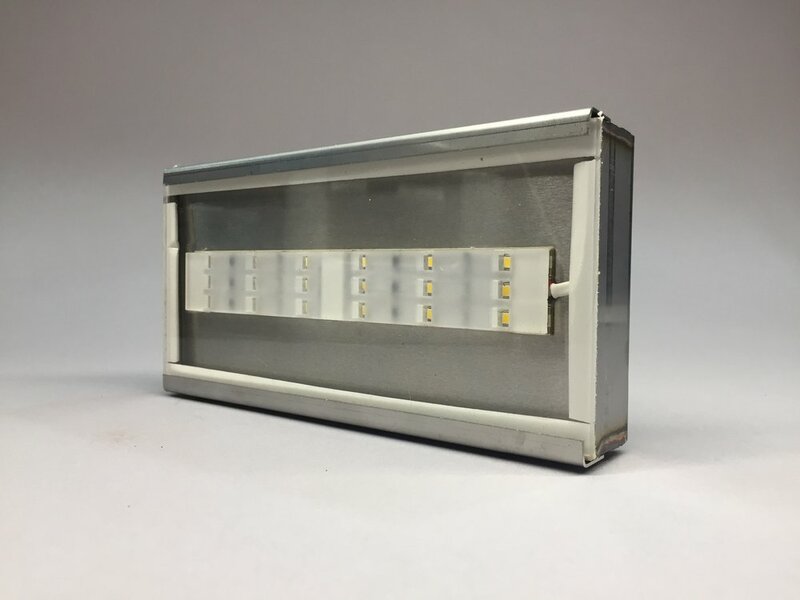 Constructed from 18 gauge TIG welded stainless steel, the billboard is a highly durable, rectangular LED floodlight intended for signage and security lighting applications. Utilizing a securable, positionable and threaded arm, the billboard allows you to place light where needed, reducing light pollution. Available in 7 and 14 inch lengths, this platform is scalable and capable of housing 24 to 120 LEDs.